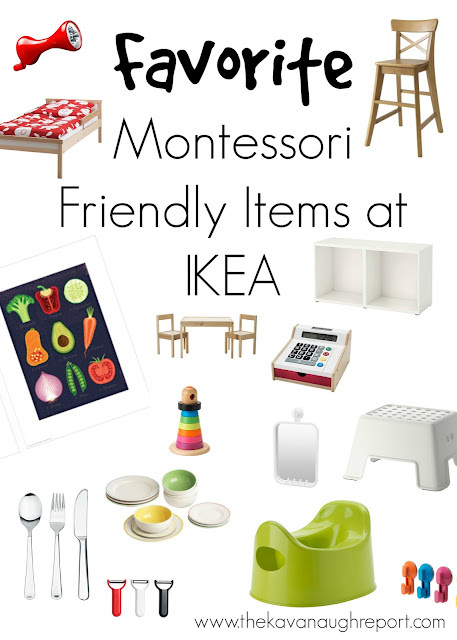 It's no secret in the Montessori community that IKEA has a ton of Montessori friendly products! 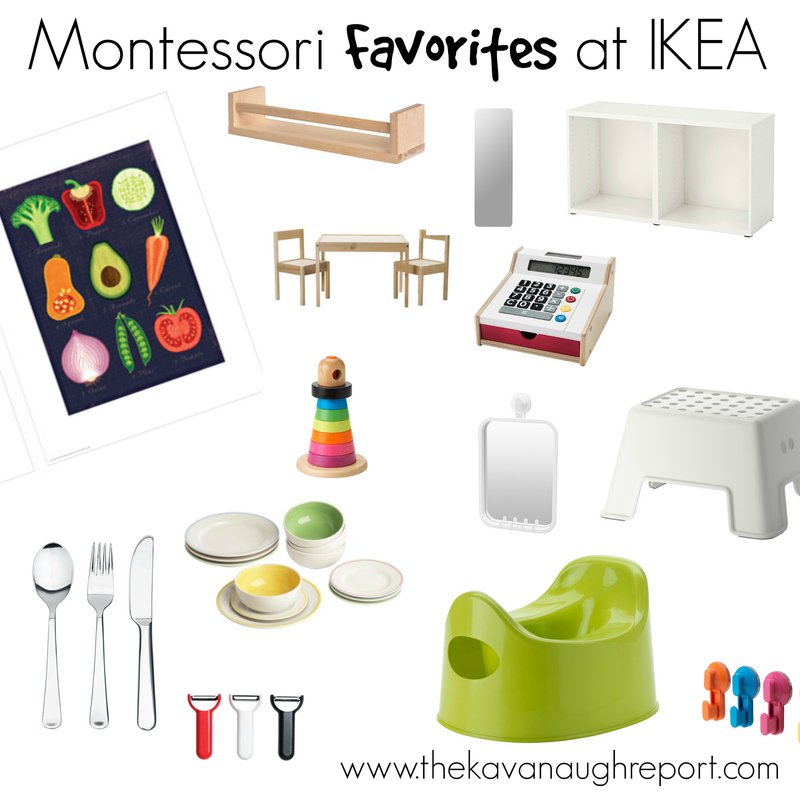 I mean, just look at this post from Kylie at How We Montessori, seriously the Montessori is strong at IKEA! So,after seeing this post about the new line of children's furniture and accessories at IKEA yesterday, I got the itch to go! When I woke up to a cold, rainy spring-break morning, I knew today was the day! I'm fortunate enough to live really close to one, and my kids love going to play in the little rooms. After a long morning of spending all the monies (just kidding, Morgan!) I wanted to share some of my favorite Montessori IKEA finds! Besta Shelving: I love this open shelving. Its my dream to replace my shelves with this. Kallax -- another very popular choice! Trofast -- these can be used with bins for storage or with open shelving! We use these in our classroom! Toddler Bed: Legs can be cut down or removed for young children. This is the bed Nora uses now. Small Acrylic Mirror - We have these in our block area, they are indestructible so you don't have to worry about breaks. Suction Cup Mirror -- just got this one! Plastic Frame -- A frame that looks real glass, but is plastic, perfect for toddler spaces! Larger Plastic Frames -- These are lightweight and acrylic front makes them super safe. Plus the price is right! Hand Powered Flashlight -- seriously how cute! Table and Chairs -- we have had this for years, I love it. There are so many other great products at IKEA that it is impossible for me to list them! I'm sure I will have even more favorites once the new products are released! What are your favorites at IKEA? Love this list! Our high chair is from IKEA, and I'm always on the lookout for good options for our daughter. The next time we stop I'll keep your list in mind for toys and furniture. We could definitely use a low and wide toy shelf.